I raise my eyebrows, letting him grip my waist anyway. I put my hands on his shoulders, and he lifts me down, lowering me slowly to the ground. His eyes are on mine, watching me intently, and a small smile plays on his lips. I lick my bottom lip without thinking, and his eyes flicker down. I swallow against the thumping of my heart and force my breath out slowly, resisting the urge to let my body take control. Reese’s hazel eyes are darker as they meet mine again, and I let my hands slide slowly down his chest. His fingers flex against my waist, like he’s fighting with himself whether to let me go or not. I breathe a little faster against my will and I see his chest heave once. My fingers graze his stomach and I step back, loosening his hold on me. His hands brush my hips as he drops them from my waist, and I have to stop myself from wrapping my arms around my waist to make up for the loss of him. 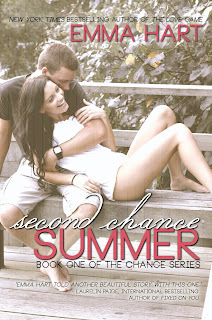 SECOND CHANCE SUMMER is book 1 of the Chance series, and there is NO cliffhanger. 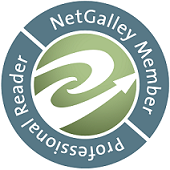 There are loose ends that need tying up in both the second book and companion novels – to be announced – but I have tried my best to resolve the main story line in this book.